If I'm being honest, this week has dragged a little. I'm not sure why, maybe because there wasn't all that much going on but I am definitely looking forward to it being Monday tomorrow. I know there are more than a few people out there that hate Mondays, but can I tell you something? I really rather like them! If I was to choose just one I would say Sunday is the day I look forward to the least, it can sometimes be quite a sad day. Its the end of a week, the end of another weekend and it can sometimes seem as if nothing is going on. That is one of the reasons I started these posts and wanted to do them on Sundays, it is a nice way to think about the week and help make me smile. 1. Afternoon naps on a Sunday. I am not someone who enjoys naps, infact they make me feel rubbish, rather than refreshed! But I haven't slept well this week and it must have eventually caught up with me and we had a little sleep this afternoon. It was nice. 2. Pumpkins everywhere. But of course they are, it's Halloween soon and it is so bloody exciting. 3. It may still be early for some but it can never really be too early to be prepared, so this week I have been reading Christmas magazines. The joy I get from this is unreal. 4. 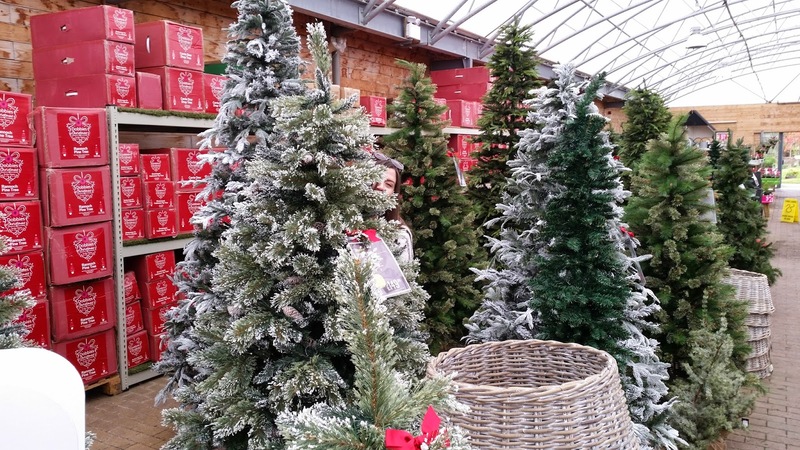 Spending far too long in garden centres Christmas departments. I'm sorry that I seem to mention Christmas in every other sentence right now but I can't help it...I'm just so SO excited!!! I mean, look at all of those trees! 5. Paul has taken to twerking -or at least his version, to any song he hears. It makes me laugh! 6. My mum is home from her holiday and I am very glad, I have missed her. 7. Hot chocolate, probably too much hot chocolate. 8. Super fluffy slipper socks, how I have missed them through summer! 9. The Xfactor live shows have stared again and that means Saturday nights are now sorted until Christmas.